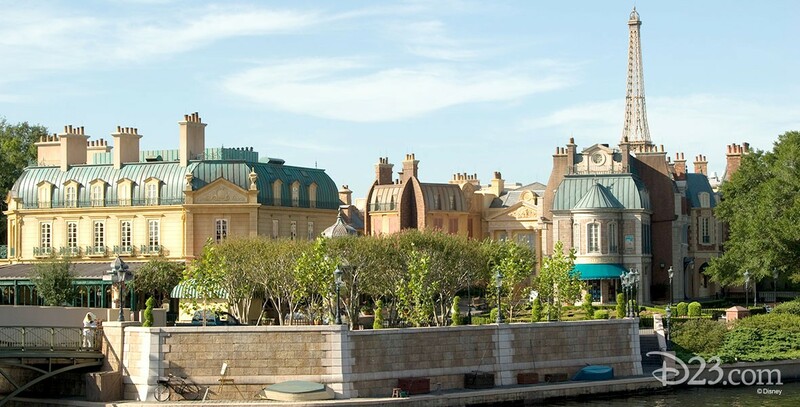 France Pavilion in World Showcase at Epcot; opened October 1, 1982. The focal point at the rear of the pavilion is a 74-foot scaled-down replica of the Eiffel Tower, and the featured attraction is the presentation in the Palais de Cinema of Impressions de France, a travel film enhanced by stereophonic recordings of music by the great French classical composers. Repeat visitors to Epcot often count this film as one must-see return engagement.